The mega-data center has become a staple of our global technology infrastructure, serving as the backbone of the digital economy. The growth of the Internet is driving an enormous appetite for network capacity and data storage, creating a new class of data centers that can scale along with the Internet. So who has the world's largest data center? We've seen a lot of huge data centers in our travels, and have identified 10 that we believe are the largest found anywhere. These data fortresses range between 400,000 and 1.1 million square feet. We should note that there are many apples vs. oranges comparisons in the data center world. 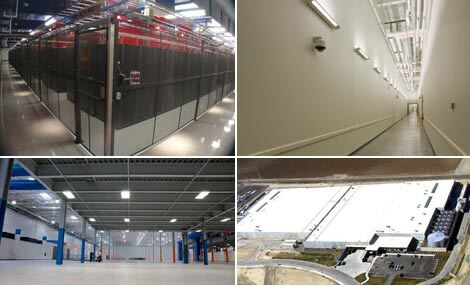 For this list, we've considered single-building facilities that are dedicated to data center use. We have not included multi-facility campuses or mixed-use buildings where data center space co-exists with large amounts of third-party office space (i.e. big-city carrier hotels). We also have not included facilities that are not yet open for business. For more on who's not included and links to other huge data complexes, see our More Worthy Contenders addendum.